Just released on Opus Arte is an outstanding recording of Puccini's trilogy of one-act operas, Il Trittico, from the Royal Opera House Covent Garden production staged in September 2011 to rave reviews. 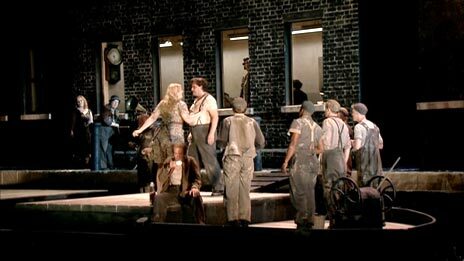 The operas are each less than one hour long, and designed to be performed on a single evening. 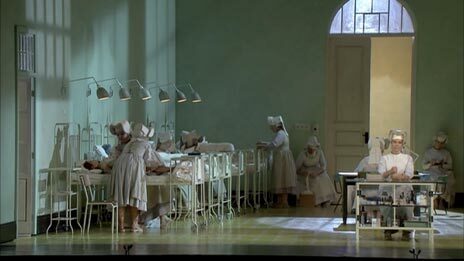 The production was directed by Richard Jones, who produced Gianni Schicchi for the Royal Opera in 2007. He completed the trio in 2011 with two new productions of Il Tabarro and Suor Angelica. The orchestra of the Royal Opera House is conducted by Antonio Pappano. Il Tabarro (The Cloak) is a story that combines passion and horror, accompanied by some of Puccini's most emotional and dramatic music. The story is set on a barge on the river Seine in Paris, and the set evokes the feeling of French cinema of the 1930s, with an alleyway lit by a flickering neon sign. The lovers are superbly played by Eva-Maria Westbroek as Giorgetta, and Aleksandrs Antonenko as Luigi, and the two main duets, between Giorgetta and Luigi, and between Giorgetta and his husband Michele, are perfect. Also notable is Irina Mishura, as Frugola, whose monologue about her cat is outstanding. In conclusion, everything fits together perfectly. 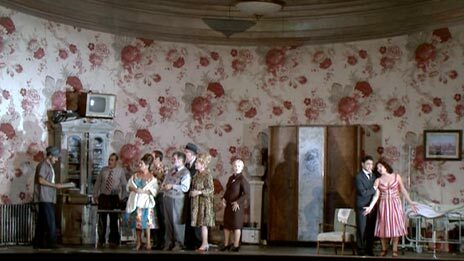 Gianni Schicchi shows Puccini's genius with a plot that races through a brilliantly executed series of twists and turns, like a comic farce. Richard Jones's production captures the sense of pace perfectly. Lucio Gallo is excellent as Schicchi, who clearly shows his scorn for the relations of Donati. Of course the winner in the story is not greed but true love, and the two lovers, Ekaterina Siurina as Lauretta, daughter of Schicchi, and Francesco Demuro as her lover, are both superb. Suor Angelica is the least successful of the trilogy. A simplistic story set to music that is at its best beautiful and moving, as in the opening bars, but can tend to be sickly sweet, as in the closing sections. Richard Jones's production makes the best of the story with a set that has a religious simplicity, and Ermonela Jaho is excellent as Sister Angelica.